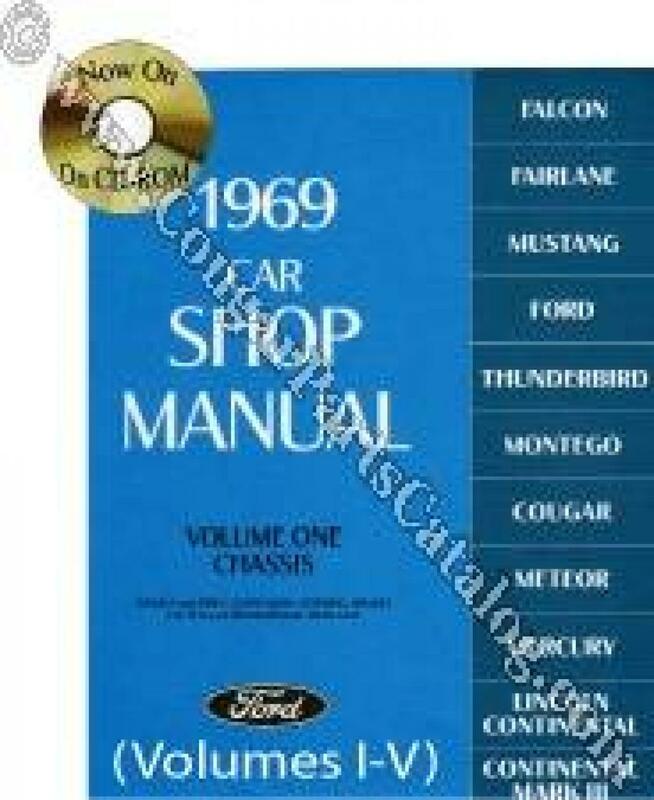 Intermediate Shop Manuals on CD for the 1969 Mercury Cougar, Mercury Full Sized Vehicles, as well as the Ford Mustang, Fairlane, and Falcon. Great option for international customers. Light weight, but all the same data as the hard copies. Also great for those who would like to be able to print off the page they need while working on their rig without beating the tar out of their manual. Please note that this software will not run on your computer if: 1. the hard drive you are installing it to is set to be shared over a network. 2. the CD/DVD drive on your computer is set to be shared over a network. This is to limit sharing of this software in accordance with Ford&apos;s requirements. Requires: Windows 98 or higher, 128 Megs of RAM, CD Reader, Internet Explorer 5.5 or higher, and Acrobat Reader 5.0 or higher (included on CD). 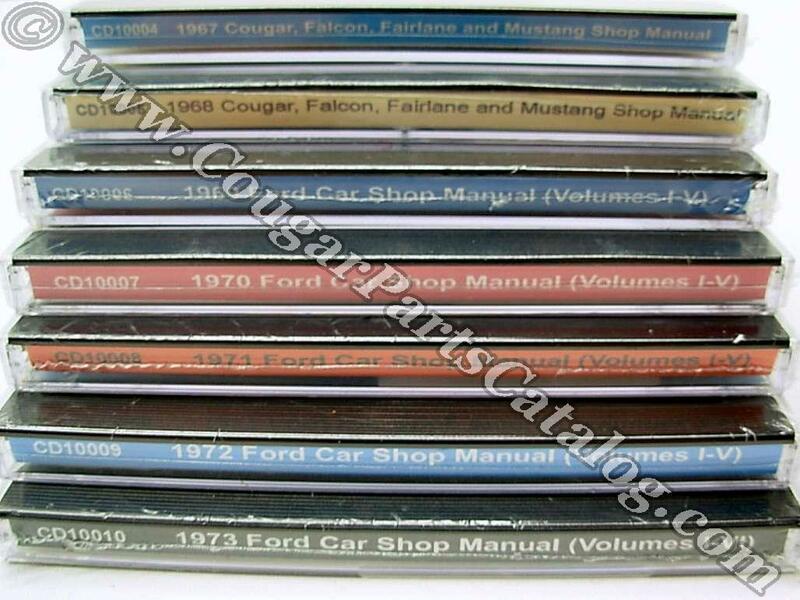 Very detailed information for working on my 1969 Cougar XR7. Not too much to say about this one, it's a CD with the shop manual on it. Works great and has over 1400 pages of useful information. If you have to get a manual, this is the way to go... Just print out what you need or take a tablet or laptop with you.